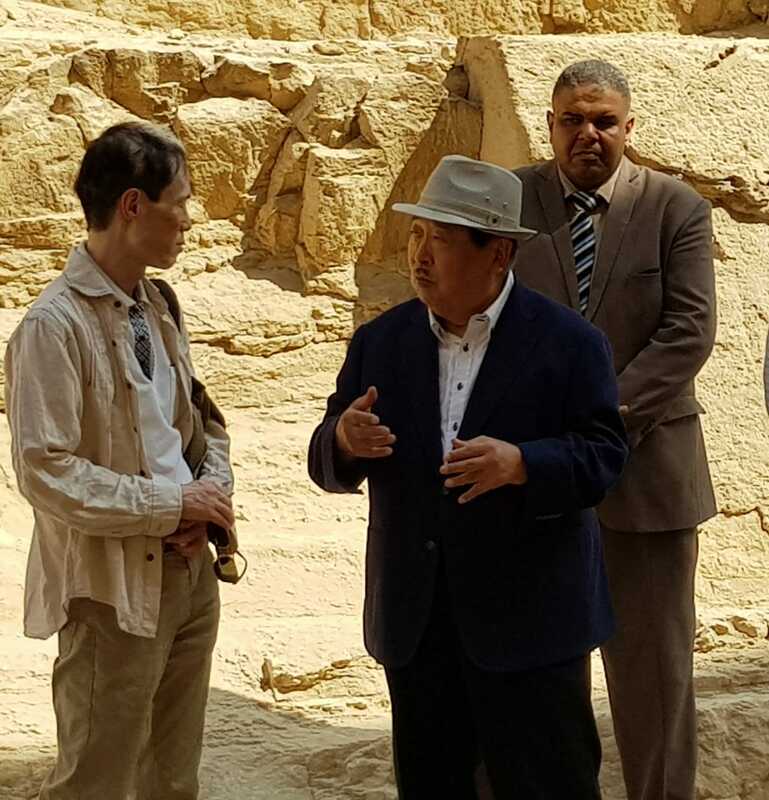 Masaki Noke, the newly appointed Japanese ambassador to Egypt, visited on Thursday the restoration project of Khufu’s second solar boat in Giza Plateau. 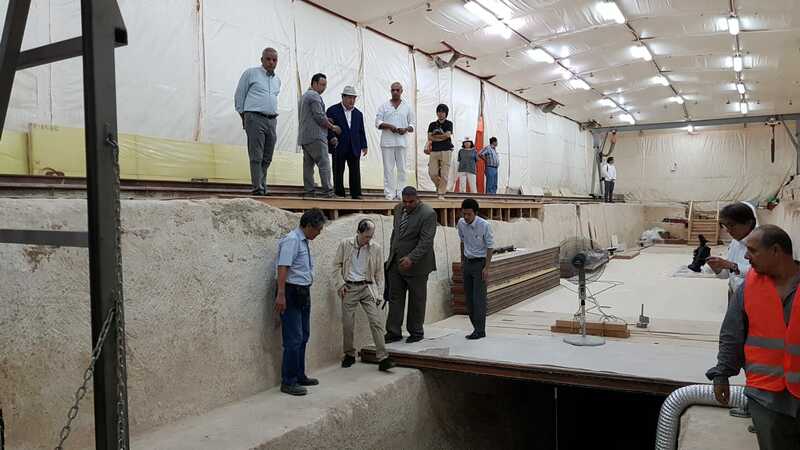 Ambassador Noke viewed the techninque which the Egyptian and Japanese archaeologists are using to lift up the boat’s wooden beams from its original location inside the pit to the surface, before transporting it to the site laboratory for restoration and consolidation. 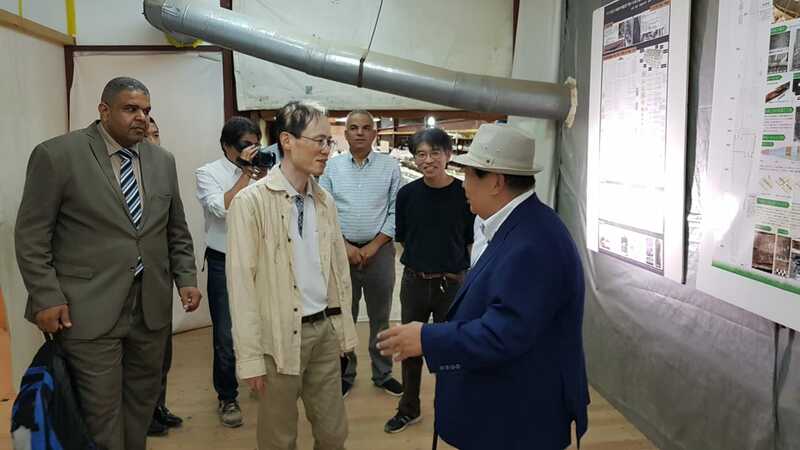 Yoshimura said "the Japanese government, through the Japan International Cooperation Agency (JICA), had helped him realise his dream by supporting and financing the project." 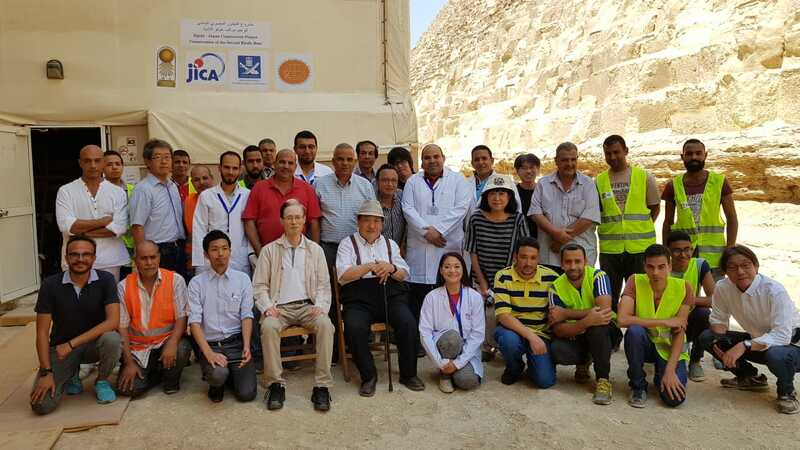 The JICA will continue its support of the project until the restoration and reconstruction of the boat is completed and the boat is readied to be on show at the Grand Egyptian Museum, which is scheduled to open in 2020. Zidan told Ahram Online that the restoration team has so far succeeded in removing 866 pieces from the pit, and restored 840 pieces and transported around 700 pieces to the GEM’s restoration centre. The first phase of the project began over 20 years ago. In 1992, a Japanese scientific and archaeological team from Waseda University, in collaboration with the Japanese government, provided a grant of $10 million to remove the boat from its original pit, restore and reassemble it, and put it on show to the public. The team first cleaned the pit of insects then Japanese technicians inserted a camera through a hole in the chamber's limestone to assess the boat's condition inside the pit and the possibility of its restoration. The team’s inspection showed that the second boat was in a much better state of preservation than the first one discovered in 1954. Khufu's first solar boat was discovered by the late architect and archaeologist Kamal El-Malakh, together with Zaki Nour, during routine cleaning on the south side of the Great Pyramid. 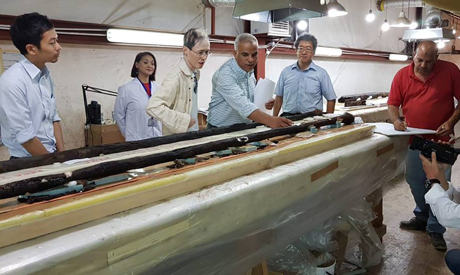 The first boat was removed piece by piece under the supervision of master restorer Ahmed Youssef, who spent more than 20 years restoring and reassembling the boat. The second boat remained sealed in its pit until 1987, when it was examined by the American National Geographic Society via remote camera. After the space inside the pit was photographed and air measurements were taken, the pit was resealed. It was initially believed that the pit had been so well sealed thus the air inside must have been preserved since ancient Egyptian times. Sadly, though, Yoshimura pointed out that this was not the case, explaining that air had leaked into the pit from outside and mixed with the air inside and this had allowed insects to thrive and negatively affect some wooden beams.